Dr Adi Adams is a Lecturer in Sport and Physical Activity at Bournemouth University, teaching on the following degree modules: Principles of Coaching (1st year) and Developing Coaching Principles (2nd year). In 2015, he completed his PhD in Sociology at the University of Bath. He has also achieved a Masters in Research (Sociology) and a BA in Coach Education & Sports Development. Adi is a former semi-professional footballer and currently holds a UEFA B (Level 3) association football coaching qualification. 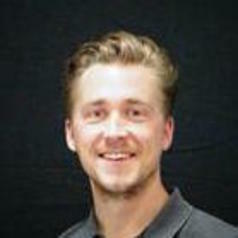 He has ten years experience working in professional football academies. His research is located in the discipline of sociology: previous research has been focused on gender, masculinities, sexuality, youth and sport. Currently, his research is focused on football academy 'culture' and the peculiarities of boys' friendships inside a professional football academy. He is also exploring youth masculinities through his work on football academy players, examining boys' attitudes toward gay peers. Adi's research has featured in a number of sport, sexuality and gender-based journals including: Journal of Language and Social Psychology, Journal of Homosexuality, Sociology, Qualitative Research, and Sport, Education and Society. He has also acted as a reviewer for a number of journals including: British Journal of Sociology, Journal of Gender Studies, Men and Masculinities and Soccer and Society.